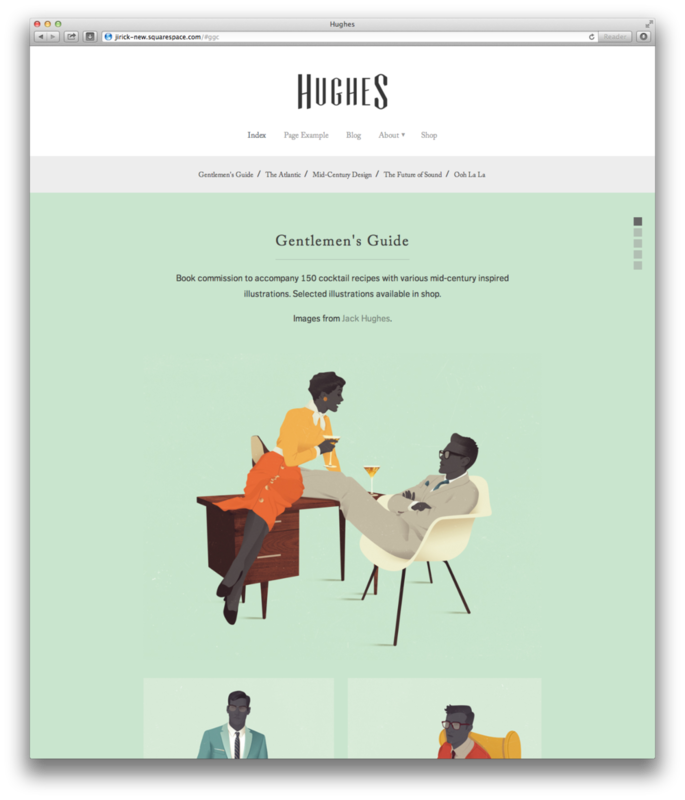 Hughes is a portfolio template I redesigned based off of the Squarespace template Jirick. I was asked to reorganize the template layout so that there was a more clear navigation hierarchy. What resulted was a colorful design template that was cohesive in design and functionality.